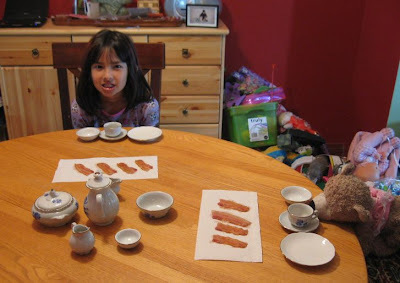 Life Candy: now that's my kind of tea party. now that's my kind of tea party. YAY!! I hope you tipped the waitstaff well for this suggestion. Best. Tea party. Ever. I'm your latest follower! Yes. I would like to be invited to tea and bacon. Please. We are pretty fond of bacon over here too. Like, really really fond. For real. We like chocolate bacon bars, bacon chapstick....bacon bacon bacon.